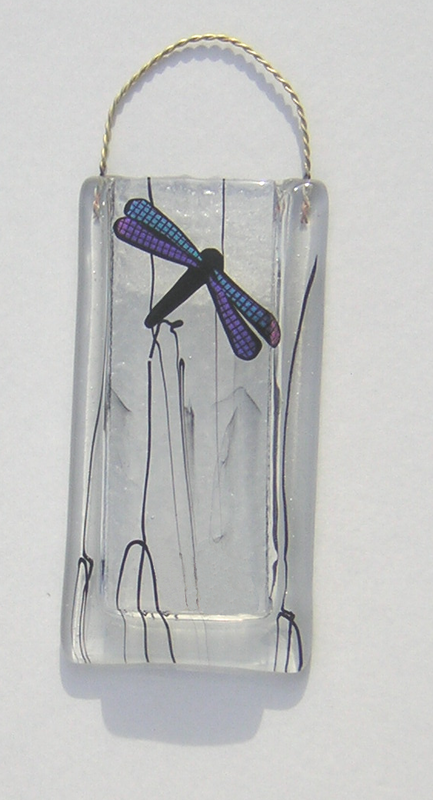 Our abstract dragonfly has a wire body imbedded in the glass and colorful dichroic glass wings. The colors of the wings vary from vase to vase. One of our best sellers. Shown here in sizes 2x6 and 3x6, the dragonfly is available in all sizes. 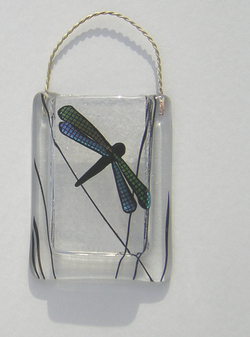 Please note that the 2-inch wide vases have dragonflies with shorter wings. 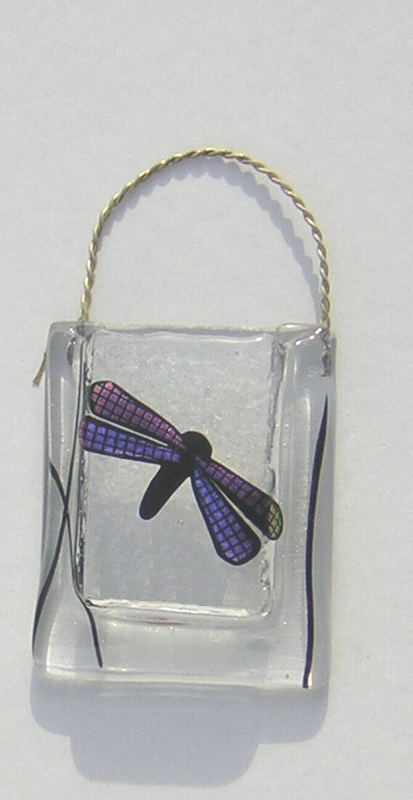 Our 3x8 size has two dragonflies per vase. 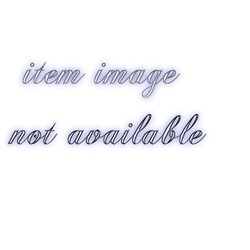 Match up with our dragonfly sushi plate and/or square plate for a lovely gift set.